A tour for all those who really want to dive into the Creole culture and bring back great memories! Let's go to discover the traditions of St. Lucia. Among lush landscapes, we discover the colours, rhythms and flavours of this incredible island from the colonial times to the present day. Leaving the bustling port of Castries behind, travel along on our bus through the winding streets towards the Morne viewpoint. Our eyes will be enchanted by the sight of lush greenery and the houses that seem to climb these hills. We will continue our tour in the direction of St. Mark, an old colonial style house, situated in a strategic point of the hill that offers a breathtaking view. 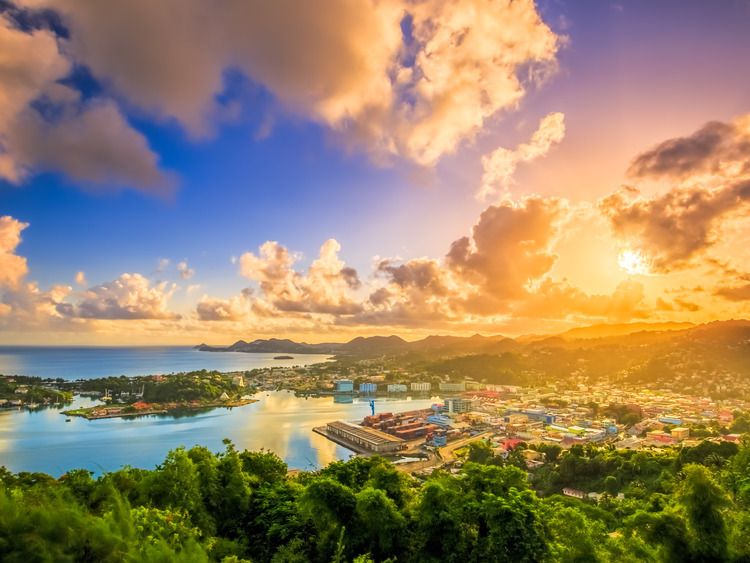 We could admire the Castries harbor nestled between the blue sea and the green background of the hills. In optimal weather conditions one can see the island of Martinique's north coast. Creole snacks and a tasty rum punch or fruit juice will be served at the end of the visit of this charming home. Our next stop will be at the Howelton Estate formerly called Caribelle Batik - a store that has a great reputation in all the Caribbean for its Batik prints. Located on Old Victoria Road, this store offers a wide range of different fabrics and crafts to satisfy all visitors. We will have the opportunity to see the craftsmen at work in the creation of these colorful fabrics. After the visit to the Batik, we will reach the Fond Latisab Creole Park where we will experience local traditions of how to make cassava bread or cooking on the leaves of macambo (the cacao tree). You will experience the rhythms and sounds of a Shak Shak band (a typical instrument). Let's dive into this fun "Kweyol" experience together!